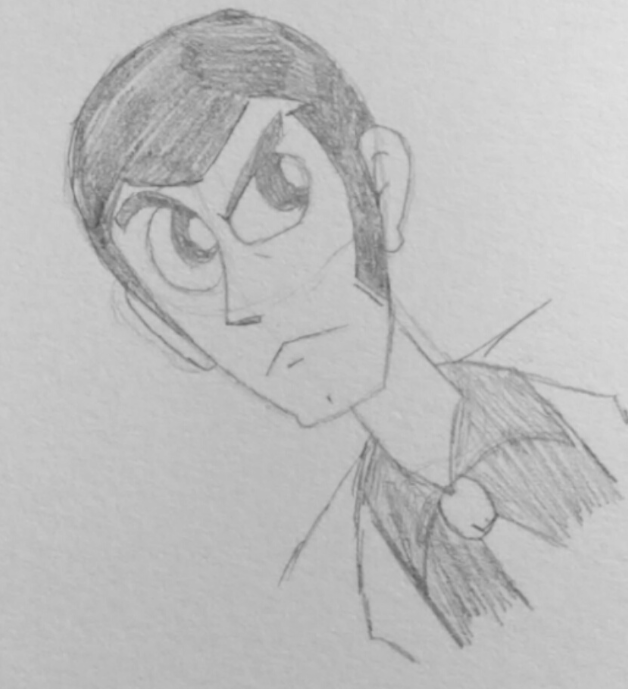 Lupin sketch Takeshi Koike drew and tweeted for charity. More here, too. Thanks to the Blue Jacket Lupin Twitter for that link. Edit: And I just spotted these two. Edit 2: And one from Osamu Kobayashi. Plus, Koji Morimoto. 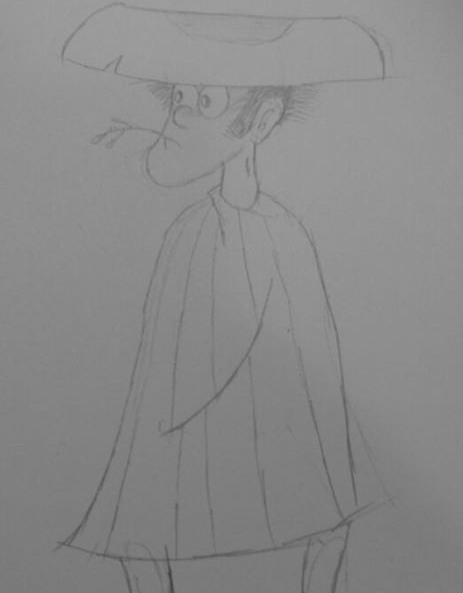 Limited edition Koike Goemon sketch being sold in conjunction with 7-11 Japan. 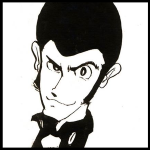 Edit: Also, the official Twitter got the jump on the new year by announcing Lupin's 50th anniversary with a nifty sketch. 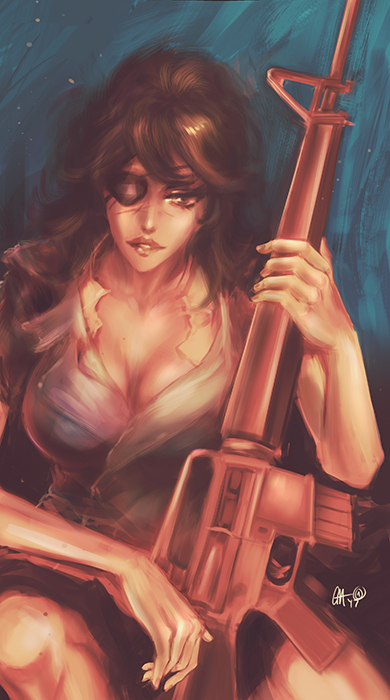 It took me a long time to get around to it, but after seeing Variation on a Joke, I thought I'd paint the eyepatch version of Fujiko from that episode. Also a bit of a stylistic tribute to the late, great Noriyoshi Ohrai, whose pulp novel covers are seriously cool. Not sure how to copy and paste links that way with a tablet. 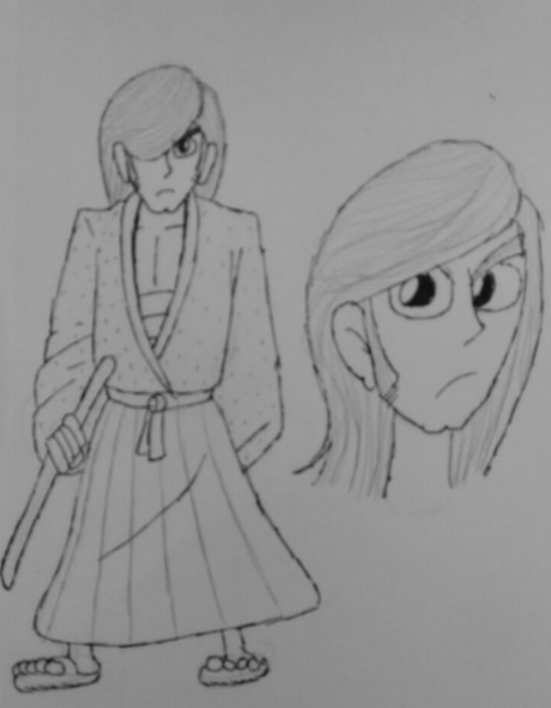 But Google ‘Yasuomi Umetsu and Lupin’, and find a fan drawing from the Kite and Lily C.A.T. guy in the image section. 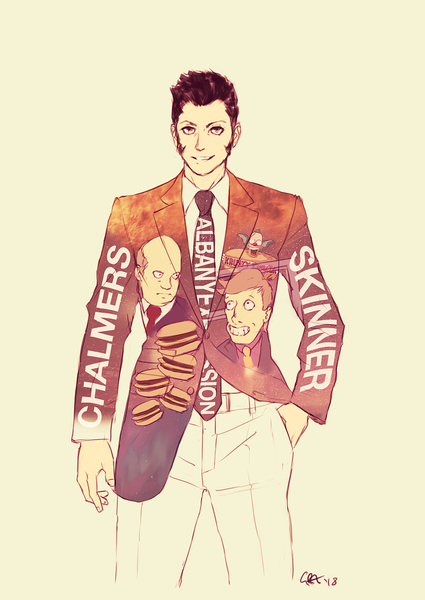 So I gather a few people were disappointed at the lack of a new jacket for Part 5, and I felt the need to remedy this. Unfortunately, I also enjoy a certain Simpsons meme a little too much. So I gather a few people were disappointed at the lack of a new jacket for Part 5, and I felt the need to remedy this. Should be fixed now - my fault for hotlinking something on pixiv. Excellent work! I hate memes but artistically speaking this is very impressive! I don't really have much experience with photoshop and whatnot but here are my attempts at getting clean images of the calling cards that are in the background of Part V's ending. The first and second are stitched from the ending, the the last three are my attempts at cleaning the image up using vectors. Official animator sketch of recent specials, c/o Telecom and Koike.